I met Dean Heileman in 1997 when he came to Pedro Sauer’s main academy in Salt Lake City, Utah. Dean and his friend Keith Owen had scheduled a private lesson with me and they were hungry to learn more of the “gentle art.” They drove down from Boise, Idaho where they ran a martial arts academy and wanted to add Gracie Jiu Jitsu to their curriculum. The first trait that always stood out with Dean was his extremely positive personality. He greeted everyone with a vice-like grip and a smile on his face. The second trait was Dean’s absolute devotion to Gracie Jiu Jitsu. At Pedro’s 2004 Summer Training Camp Dean showed a beautiful guard sweep that required advanced technical skill. Dean told me he learned it watching a four second video clip of a Rickson seminar. Dean loved the move and began to practice it. He drilled that sweep numerous times, repetition upon repetition and when he demonstrated it at the Summer Training Camp, it was perfect. That was an example of Dean’s dedicated approach to Jiu Jitsu. But it was during his first private that Dean showed me the depth of his character. While Dean and Keith were reviewing a move Dean got winded easily so he and Keith stopped for a bit. I just thought he was tired but under his breath Keith told me Dean had cancer. I expressed my surprise and Dean briefly told me about the cancer and his battle with it. Dean said in his familiar gravelly tone,”Yeah I’ve got cancer and jiu jitsu is going to help me beat it!” To Dean, jiu jitsu wasn’t just about tapping your buddy with a Kimura and then shaking hands. Dean chose to use jiu jitsu as a lethal lever to fight a life or death struggle against the cancer attacking his body. 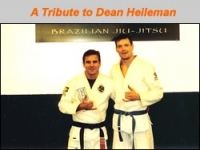 Dean has such great resolve that the late Grandmaster Helio Gracie would have been moved by Dean’s devotion to the art. After my first meeting with Dean I didn’t see him for another 18 months because I moved to Atlanta, Georgia. 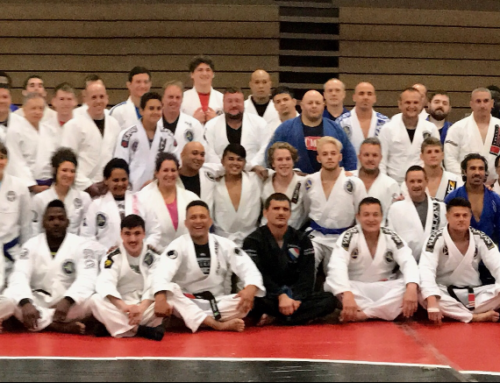 I did hear from Pedro’s students that Dean was training hard and his jiu jitsu game was very technical and submission oriented. The next time I saw Dean was after I moved back to Utah. I had the opportunity to train with him and his emotional intensity was palpable. He’d been training fanatically for a year and a half and and came at me like a veteran warrior trying to submit me at every turn! I remembered thinking,”Isn’t this guy fighting cancer?” Yet I should not have been surprised. Dean, like the samurai, knew that body, mind and soul were the requirements to defeat an enemy. I also knew that day I wasn’t the enemy, I was just a warmup for Dean’s war on cancer. 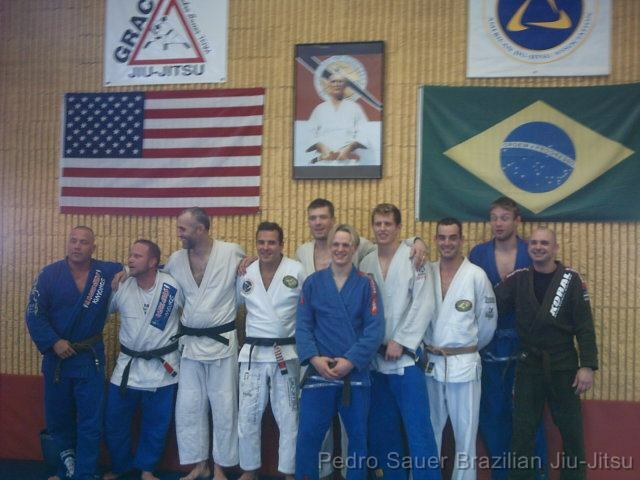 Dean’s meteoric progress in jiu jitsu culminated in his receiving a black belt from Professor Pedro Sauer in December 2004. Dean deserved that black belt. He was a great technician, a great teacher and had the heart of a lion. On Friday, June 10, 2005, eight years after I first met Dean Heileman, I received a call from Mitch Coats, one of Dean’s top students and a close family friend. Mitch told me Dean had died from cancer. It had been many years since our first meeting and Dean was such an outgoing, positive person that I had forgotten about his cancer. I remember feeling disbelief and then sadness. I cannot imagine what others felt, especially his family and close friends. As I reflect on Gracie Jiu Jitsu, I realize that in it’s truest sense, jiu jitsu provides us the ability to respond to life with with equanimity and confidence. And as I think about Dean, I know he personified the Jiu Jitsu Warrior. While cancer may have broken Dean’s body it never broke his fighting spirit. May his philosophy and passion for jiu jitsu be carried on by his instructors and students. Goodbye Dean.